Why the current Bretton Woods-like international financial system, featuring large current account deficits in the center country, the United States, and massive reserve accumulation by the periphery, is not sustainable. 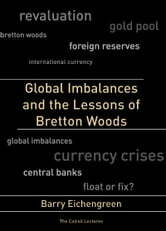 In Global Imbalances and the Lessons of Bretton Woods, Barry Eichengreen takes issue with the argument that today's international financial system is largely analogous to the Bretton Woods System of the period 1958 to 1973. Then, as now, it has been argued, the United States ran balance of payment deficits, provided international reserves to other countries, and acted as export market of last resort for the rest of the world. Then, as now, the story continues, other countries were reluctant to revalue their currencies for fear of seeing their export-led growth slow and suffering capital losses on their foreign reserves. Eichengreen argues in response that the power of historical analogy lies not just in finding parallels but in highlighting differences, and he finds important differences in the structure of the world economy today. 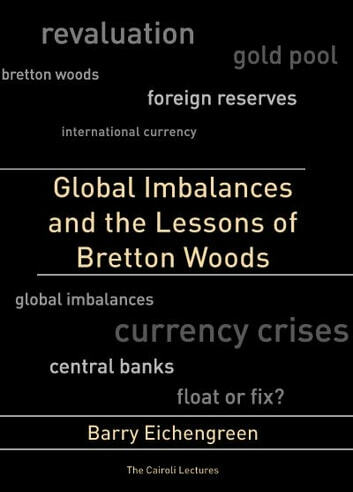 Such differences, he concludes, mean that the current constellation of exchange rates and payments imbalances is unlikely to last as long as the original Bretton Woods System. Two of the most salient differences are the twin deficits and low savings rate of the United States, which do not augur well for the sustainability of the country's international position. Such differences, he concludes, mean that the current constellation of exchange rates and payments imbalances is unlikely to last as long as the original Bretton Woods System. After identifying these differences, Eichengreen looks in detail at the Gold Pool, the mechanism through which European central banks sought to support the dollar in the 1960s. He shows that the Pool was fragile and short lived, which does not bode well for collective efforts on the part of Asian central banks to restrain reserve diversification and support the dollar today. He studies Japan's exit from its dollar peg in 1971, drawing lessons for China's transition to greater exchange rate flexibility. And he considers the history of reserve currency competition, asking if it has lessons for whether the dollar is destined to lose its standing as preeminent international currency to the euro or even the Chinese renminbi.